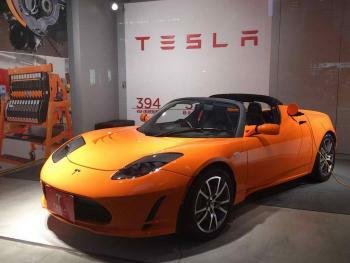 » Will Tesla's Roadster 3.0 use a graphene-enhanced battery? A few days ago, Tesla announced the implementation of several improvements to their Roadster model, one of which involves an intriguing battery enhancement. Tesla claims to have identified a new cell technology that has 31% more energy than the original Roadster cell. Using this new cell, the company created a battery pack that delivers roughly 70kWh in the same package as the original battery. Although graphene was not specifically mentioned in this statement, it does stand to reason as a Chinese website stated that the Roadster 3.0 "uses graphene in the production of the battery, which increases its energy storage capacity significantly. The battery range improves by 50% which enables the 3.0 version to travel 644 km on one charge". In August 2014, Tesla's "new battery technology" was already indicated in a Graphene-Info post, where graphene was speculated to be integrated into Tesla's Li-ion batteries for their S model.